The Osprey® 8 Complete measures maximum observable iridescence, strain marks, heat stain, white haze, average or residual stress, and ALL types of distortion, not just roller wave or edge kink. The Osprey 8 Complete was developed in partnership with Stress Photonics, the global leader in optical stress measurement. The system is designed for installation on any brand of tempering line creating a paradigm shift in tempering. To learn more about the Osprey 8 Complete or request a quote - click here! Anisotropy — often seen as reflected iridescence — is a problem of growing interest to architects, developers, and building owners. It is a natural result of the tempering process when unbalanced residual temper stress selectively reflects polarized light. Iridescence is frequently visible when glass reflects the polarized light of blue skies or water. In these situations, light that would naturally pass through the glass rotates, causing shimmering patterns where glass stress is high and reflected, and dark patterns where stress is low. 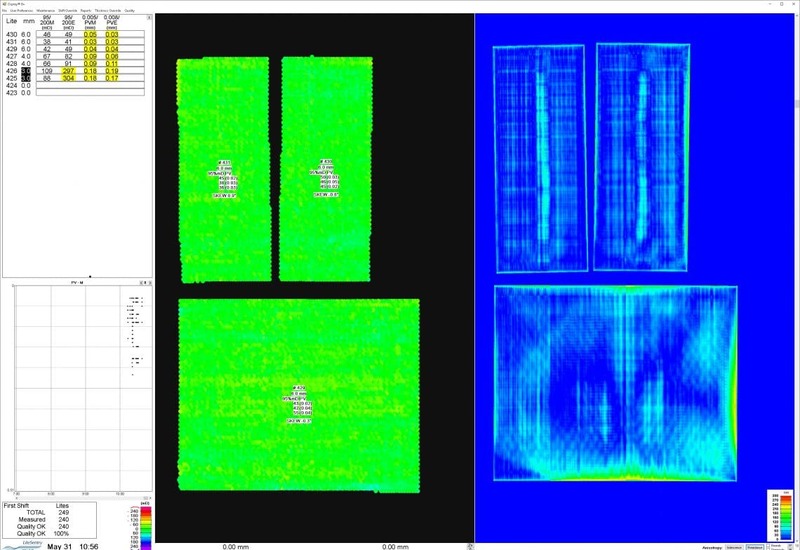 LiteSentry, in partnership with Stress Photonics, offers Anisotropy Inspection integrated with the industry leading Osprey Distortion + Flatness Inspection system. 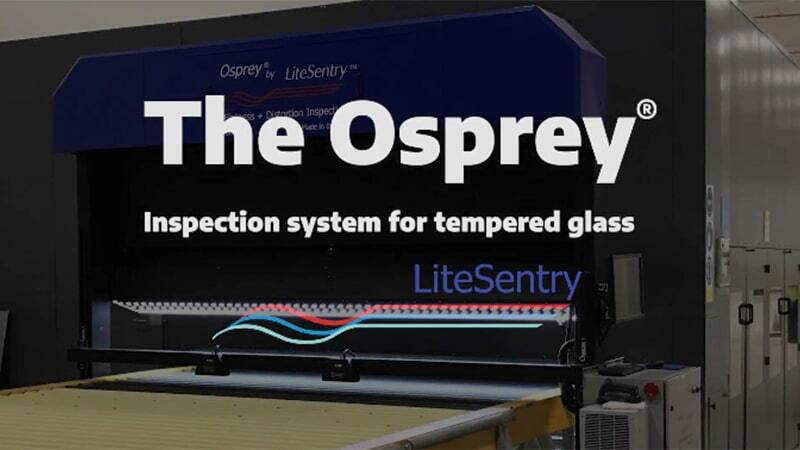 With two state-of-the-art inspection systems housed in a single unit, the Osprey 8 Complete provides 100% inspection, offering visualization and quantification of the most challenging problems in glass fabrication. The State-of-the-Art Technology Osprey 8 Complete uses Stress Photonics Grey-Field Polariscope cameras and polarized transmitted light to detect anisotropy effects in every sheet of glass. 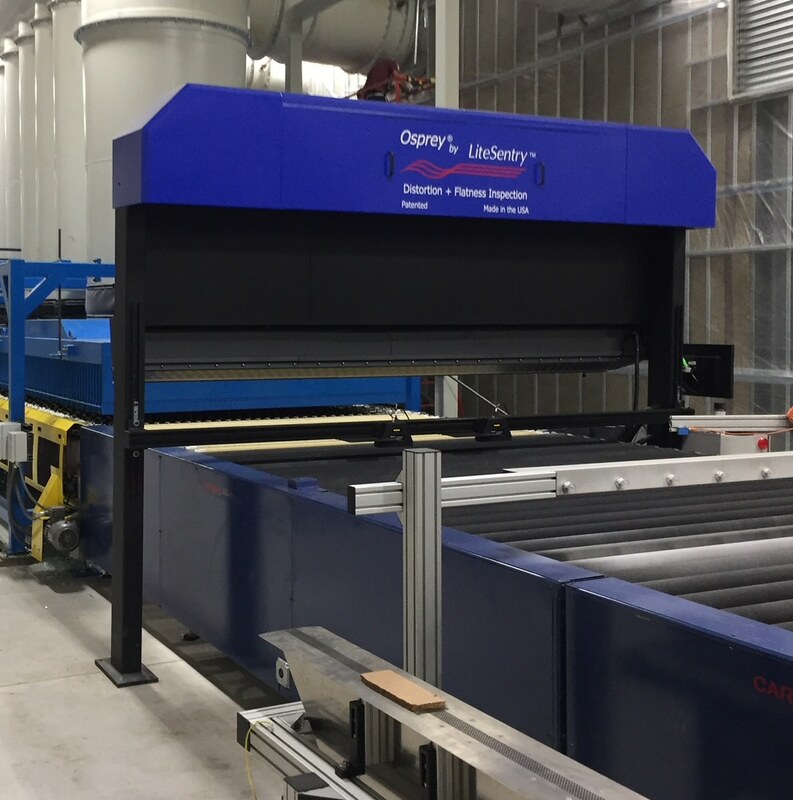 Combined with its industry-leading distortion inspection capability, the Osprey 8 Complete offers the most comprehensive inspection system for tempered glass. Distortion Inspection: Patented high-resolution cameras and a reflected white LED light source measures flatness and distortion. Anisotropy Inspection: Grey-Field Polariscope (GFP) cameras and a polarized transmitted light array measuring iridescence and average stress. Fully integrated grey-field polariscope system manufactured by Stress Photonics, a leader in the optical stress analysis for over 20 years. Real-time inspection and data collection at four polarization states. Map of average stress for every part. User-defined quality thresholds for the judgment of iridescence, and stress similar to the Osprey’s proven quality thresholding methods for optical distortion.